Elizabeth M. Grant is the University of Georgia School of Law’s Civil Externship Program and Public Interest Practicum director. 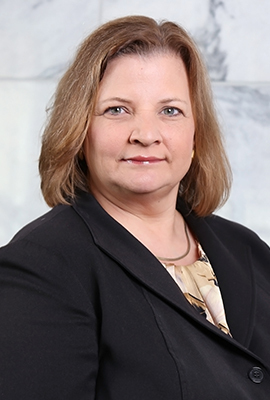 Before joining the law school’s faculty, she had her own solo law practice specializing in criminal defense and juvenile law in Athens and Northeast Georgia. Previously, she was a public defender in the Western Judicial Circuit where she did both trial and appellate work. She also held both chief assistant and assistant solicitor-general positions in Athens-Clarke County. In this role, she prosecuted misdemeanor cases in both State and Municipal Court. She began her legal career as a staff attorney with the Prisoner Legal Counseling Project, providing advice to Georgia inmates on a variety of legal matters and representing inmates in post-conviction proceedings and uncontested divorces. Grant has worked at Georgia Law in various capacities. Most recently, she served as the interim director of the Family Violence Clinic in 2015. She has taught the Civil Externship course during the summer semesters since 2010. She previously served as an adjunct mock trial coach. Grant earned her bachelor’s degree in history from Northwestern University. She earned her law degree from UGA, where she was a member of the moot court team, the Lumpkin American Inn of Court and the Georgia Journal of International and Comparative Law.